Crimea declared independence from Ukraine and formally joined Russia after a referendum back in 2014. But the US and its Western allies see the move as Moscow’s “annexation” of the territory. US President Donald Trump, however, has yet to congratulate his Russian counterpart on the reelection, according to the White House that said a phone call between the two leaders has yet to be set up. 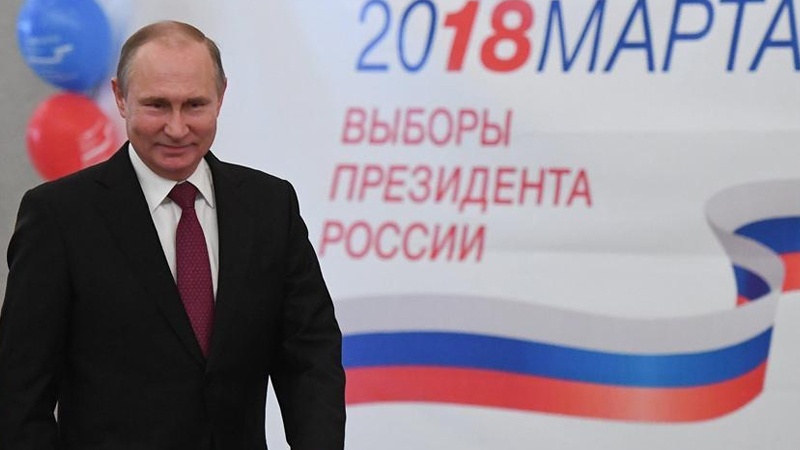 Washington announced last week that it was enacting new sanctions on Russia, over accusations that Moscow had interfered in the US 2016 presidential election. Moscow has consistently denied the allegation. From the northeast corner of Africa, Egyptian President Abdel Fattah al-Sisi sent his “warmest congratulations” to Putin, according to a statement.